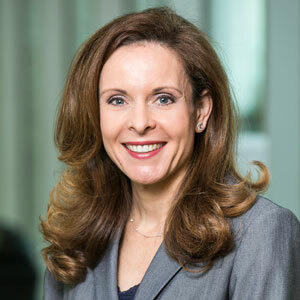 Jennifer Nicoll Victor is Associate Professor of Political Science at George Mason University’s Schar School Policy and Government, where she serves as the Director of undergraduate programs. She studies the U.S. Congress, legislative organization and behavior, social network methods, political parties, campaign finance, and interest groups and lobbying. She is the co-editor of the Oxford Handbook of Political Networks (2017). She is the co-author (with Nils Ringe) of Bridging the Information Gap: Legislative Member Organizations in the United States and the European Union (U. Michigan Press 2013). Professor Victor has published research in the American Journal of Political Science, the British Journal of Political Science, American Politics Research, Party Politics, Interest Groups & Advocacy, P.S. : Political Science and Politics, and elsewhere. She is a co-founding contributor to the political science blog “Mischiefs of Faction” on Vox.com, and has blogged for The Conversation, Medium, OUP Blog, LSE US Politics blog. She holds a Ph.D. (2003) and an M.A. (1999), in Political Science from Washington University in St. Louis, and a B.A. in Political Science from University of California, San Diego (1997). She serves on the Board of Directors of the non-profit, non-partisan Center for Responsive Politics. She is the past president of the National Capital Area Political Science Association, and past Chair of the APSA organized section on Political Networks. In 2005 she served as an American Political Science Association Congressional Fellow in the office of Senator Kent Conrad (D-ND). From 2003-2012 she was an Assistant Professor of Political Science at the University of Pittsburgh. She joined the faculty at George Mason in 2012.